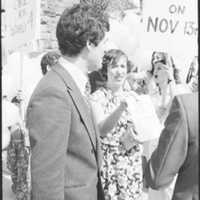 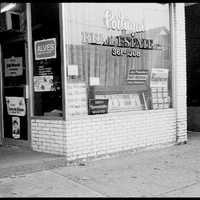 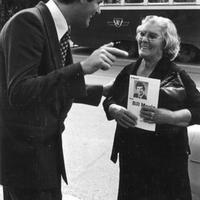 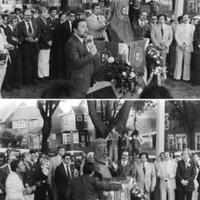 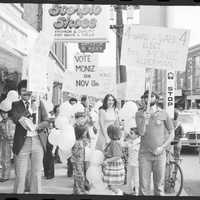 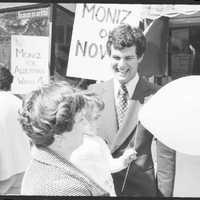 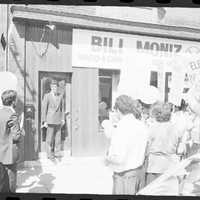 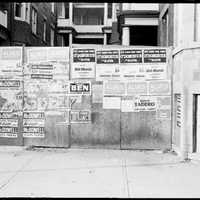 Image of Bill Moniz campaigning for Alderman of Ward 4, Toronto Municipal elections of 1978. 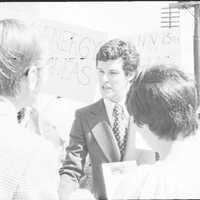 Part of a series of promotional photos, one of which was published in the Comunidade newspaper, Year III, Vol. 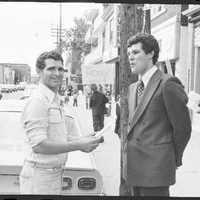 2, Issue 1, September 28, 1978.